We are thrilled to have Victoria Johnson join us for a lecture and book signing. 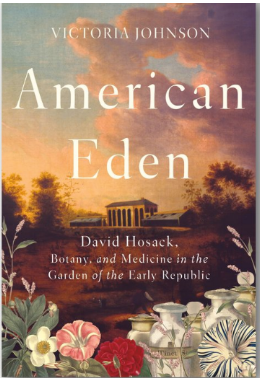 She is the author of the best selling book American Eden: David Hosack, Botany, and Medicine in the Garden of the Early Republic (Liveright, a division of W.W Norton, 2018). Event will take place in the Silver Educational Center. The untold story of Hamilton’s―and Burr’s―personal physician, whose dream to build America’s first botanical garden inspired the young Republic. 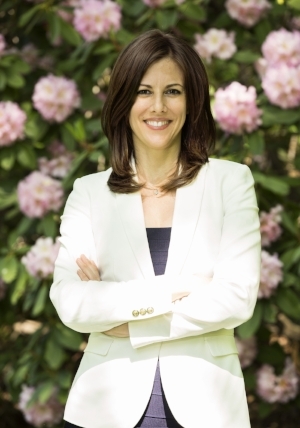 This illustrated lecture by historian Victoria Johnson features her new book, American Eden, which both the Wall Street Journal and Ron Chernow (Alexander Hamilton) have called “captivating.” American Eden was a finalist for the 2018 National Book Award in Nonfiction as well as a New York Times Notable Book of 2018. When Alexander Hamilton and Aaron Burr met on a dueling ground in July 1804, they chose the same attending physician: David Hosack. Family doctor and friend to both men, Hosack is today a shadowy figure at the edge of a famous duel, the great achievements of his life forgotten. But in 1801, on twenty acres of Manhattan farmland, Hosack founded the first public botanical garden in the new nation, amassing a spectacular collection of medicinal, agricultural, and ornamental plants that brought him worldwide praise from the likes of Thomas Jefferson, Sir Joseph Banks, and Alexander von Humboldt. Hosack used his pioneering institution to train the next generation of American doctors and naturalists and to conduct some of the first pharmacological research in the United States. Today, his former garden is the site of Rockefeller Center. Victoria Johnson is Associate Professor of Urban Policy and Planning at Hunter College of the City University of New York, where she teaches on nonprofits, arts management, and the history of New York City. She earned an undergraduate degree in philosophy from Yale in 1991 and a Ph.D. in sociology from Columbia in 2002. Before joining Hunter College in 2015, she taught at the University of Michigan in Ann Arbor for thirteen years.